Hobbies: Music, Star Trek, Disney, Sewing/Crocheting/Crafting (including jewelry making), attending my kids' school activities. I advocate for myself and my daughter Mariah. As Mariah’s Girl Scout Leader, we had a talk about doing an Epilepsy Awareness project during this school year (2014-2015). We started by joining the local Daisy Troop for our Homecoming Parades. 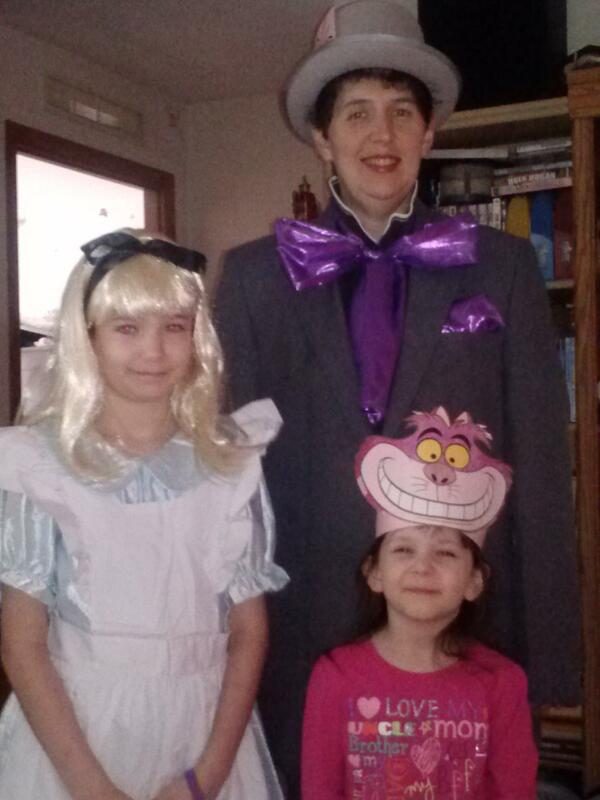 We dressed up as “”Alice in Wonderland”” characters (Author Lewis Carroll had epilepsy!) for the Kiddie Parade, and did a float and wore T-shirts saying “”Girl Scouts Go Purple For Epilepsy”” for the Grand Parade.